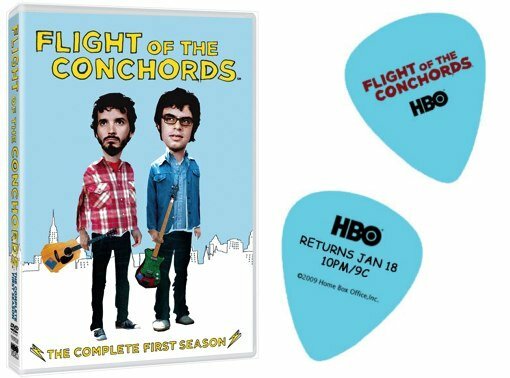 Flight of The Conchords: Season 2 Broadcast Premiere Coming, Season 1 DVD + Prize Pack Giveaway! 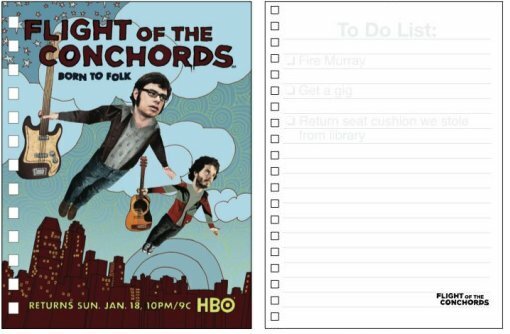 To enter the contest send an email to contests@bumpershine.com and tell me what your favorite FOTC song is. A random winner will be chosen on Friday, January 16, 2009 (unfortunately, this contest is open to US residents only). Also, don’t forget you can still enter the FOTC Flight Lib Dub Video Contest over at flightlipdub.com. Check out the video for the Flight of the Conchords “Hiphopopotamus vs. Rhymenoceros” after the jump.